As observers are looking at major events, a critical mass of reasoning should emerge for policy makers to select the best choices. Topics ranging from the US economy, the FED tapering, the US budget, the Debt Ceiling, Social Care, to International as Syria, Iran, Niger, Mexico, China and North Korea deserve a lot of understanding and analysis. Perhaps the position of the FED to defer the decision to taper is very indicative on what the expectation is all about, a compromise on the budget and the debt in order to avoid a partial government shutdown. Perhaps also that the US/Russian framework to set a control mechanism of Syrian CW is precious to realize how much all players are in need of a precious commodity: time. So until a political conference is held for Syria, the crisis will be ongoing and the environment will be stalling. 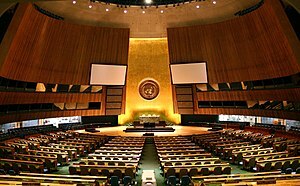 In view of the UN general assembly eyes will be on the Iranian president charm offensive and how he can deploy diplomacy to avoid the economic crisis and find an acceptable compromise for the nuclear file. Negotiations with Mr. Rouhani will stretch from Fordo to Syrian CW, from enriched Uranium to the Lebanese new cabinet, from Iraq to Afghanistan, from Pakistan to Iran, from Israel to peace, from sanctions to international cooperation. Considering the interests in play, it is a fact that never as before the US and Iran have interest to work in tandem to get mutual benefits that will reverberate on all others. Maybe experts will look to transform the investment in Fordow Mountain, to become an incinerator for CW? will exert its right, will carry in it major geopolitical significance. an equivalent number of political parties or organizations. national formula to enhance cohesion, unity, harmony and convergence. citizens in synchrony with the land, projects dedication to labor, spontaneity and hospitality. Since the installation of different communities on this portion of the Mediterranean shores and hinterland, they always struggled to make a decent living, pioneering trade and exchanging knowledge and culture. The nature of the persisting conflict between the state of Israel and the National Palestinian Authority did not help to stabilize the situation in the entire Middle East. will immensely help the populations of the region to walk the path of prosperity and education. To help end the conflict different options can be envisaged, one can be to chose the developing armed struggle, while another more effective is the diplomatic approach. military confrontation, while the second is concretely working within the community of nations to define in dignity an acceptable peace accord for all involved parts. To oversimplify I say that there is an axis of refusal opposed to an alliance of dialogue. side by side, it practiced a destructive performance, aided a lot ironically by the intransigence of many Israeli, Iranian, and Syrian hardliners who lack also any vision of connivance. General Elections. Therefore it is my intent to contribute starting today and for the coming month with series of frequent written notes to spread an objective view on this event expected to boost democratic stability. pandemic flu already retreating . While job losses will continue to build, and industrial figures will remain negative, it is expected that somewhere between July and the fall, the financial, insurance and real estate sectors will reach their bottom. Investors will look into a transparent financial hub to substitute London and New York, and to their disappointment they will not find in Shanghai, Mumbai or Moscow any hub. World wealth will conserve the path of decrease and the L model will unfortunately be thought to prevail for sometime. Geopolitics and Geo-Strategy will induce the doctrine of different armies to model themselves as per a variety of new threats to be added to Symmetric and Asymmetric warfare. The cycle of real economy in China exporting and accumulating wealth to be invested into US debt will be addressed in future bilateral adjustments expected to be evaluated with the advent of the fifth generation of Chinese leaders, not before 2012 in any case. Observers will look into India, Brazil and Australia for signs of recovery; however it is likely that these signs will first start in an old spot, located in Old Europe, and this is Germany. A new model of Lander governance is being experimented where Greens are allied with Christian democrats and this formula can expand on national level, generating a new European momentum in September, in concomitance with the elections. German and French reach to Turkey, Iran, Egypt and Russia can play a fundamental role to transform the area from Calais to Chah-Bahar to become the locomotive of the 21st Century as a support to another locomotive stretching from Beijing to Washington and passing by Hanoi. A third pole formed by India, Japan, Korea and Brazil can start to look into the second half of the century to develop a leading international role. Poor countries will receive some help from the World Bank and the IMF to exit actual contraction. It is thought that the US will either introduce the American Monetary Act to print its own money, nationalize the Federal Reserve to become first resource lender or emit centennial Treasury Bonds to stabilize the monetary market called “Twenty Second” Bonds. Meanwhile using the same time machine, our visitor will try to stop in the year 2025 to check on the Middle East, but he wouldn’t make it because unless a two states solution will be achieved, mixed economic industrial zones will work on full power, integration and civil rights will be implemented, there can be no clearance for such a desire. He will be allowed only to have a bird view to ascertain that Iranian power struggle ended with a sophisticated strategy, and that is never to pursue a nuclear weapon and to become the main supplier for energy to Europe. helped immensely to defuse Middle Eastern tension.